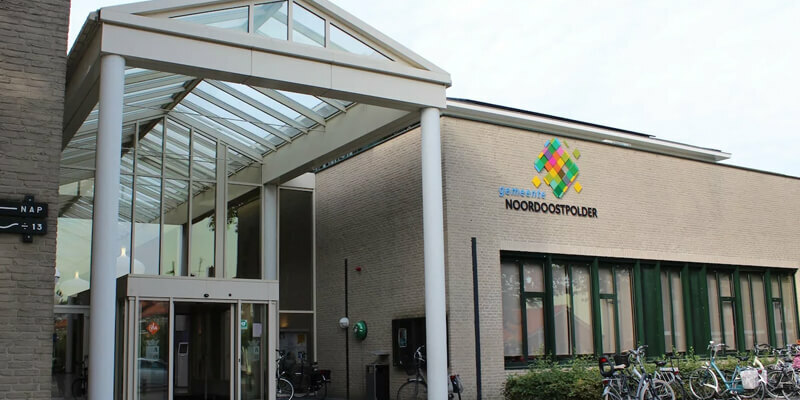 The public lighting of Municipality Noordoostpolder has recently been partially replaced by LED lighting. In total more than 850 PL-L lights were renewed with LED PS-L lights from Saled. With the installation of LED Retrofit-lighting an energy reduction of about 30 percent will be achieved which will not only benefit the environment but also the municipal finances. In the period of 2008-2009, the municipality Noordoostpolder placed a couple of large luminaires which used conventional light sources. Because of its sustainability ambitions, the municipality decided – after ten years – that is was time to move on to LED lights. Due to the fact that the luminaries have not yet been fully depreciated, the choice was made to use Saled Retrofit. The luminaires set to be ‘retrofitted’ will use roughly 30 percent less energy than their predecessors. On the grounds that each LED light source from Saled is equipped with an internal driver, only the phase and neutral wires need to be connected with the lamp cap. By employing this method, the use of a ballast becomes unnecessary. The ballast ensures the minimization of the electric current through a fluorescent tube or another conventional light source. Because the Retrofit solution does not need to use a ballast, there will be less malfunctions and fewer lamps failing. Thus, money will be saved not only on energy costs but also on maintenance and replacement costs. The light poles in Noordoostpolder have been primarily retrofit with Saled PS-L 18 watts and a small portion with PS-L 25 and 9 watts. The resourceful PS-L light source has a 110-120 lumens/wats ratio. Despite this, the PS-L has the same light experience as a conventional PL-L light. The replacements of the Saled Retrofit was carried out by Dynniq. Dynniq will be responsible for the public lighting maintenance in the Flevoland municipality in the coming years. Last year alone, 1.500 lights were made sustainable thanks to the Retrofit method. According to the plans both parties will continue to make Noordoostpolder even more sustainable in the coming years. Also interested in our solutions?